The classic 70's puzzle that any one can solve! Great gag gift for all puzzle haters! Welcome to the Idiot's Cube, the classic 70's puzzle that absolutely any one can solve. 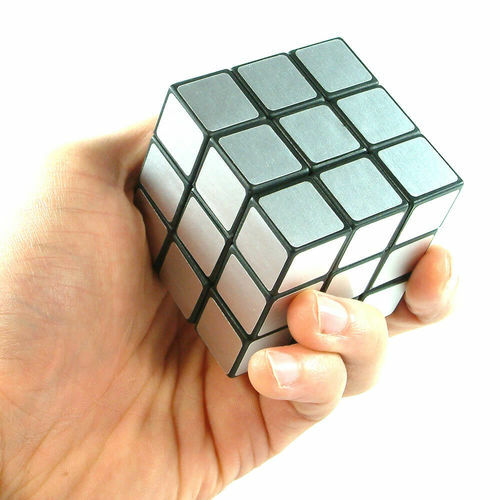 Typically, the faces of your standard puzzle Cube are covered by stickers in six solid colours, one for each side of the Cube. BUT the difference with this cool cube it that is comes complete and pre-solved with only one colour sticker covering each of the twenty six unit cubes. The Idiots Cube is a great gag and gift for all puzzle haters and anyone who gets a little mad at puzzles sitting on coffee tables at trendy restaurants. You also might like to check out the classic Rubik's Cube which inspired this cool adaptation. Absolutely loved it, I had 3 people including the recipient ask why its called the Idiots Cube. Reaction is priceless when you have to explain it to them.